The great people are the attraction. 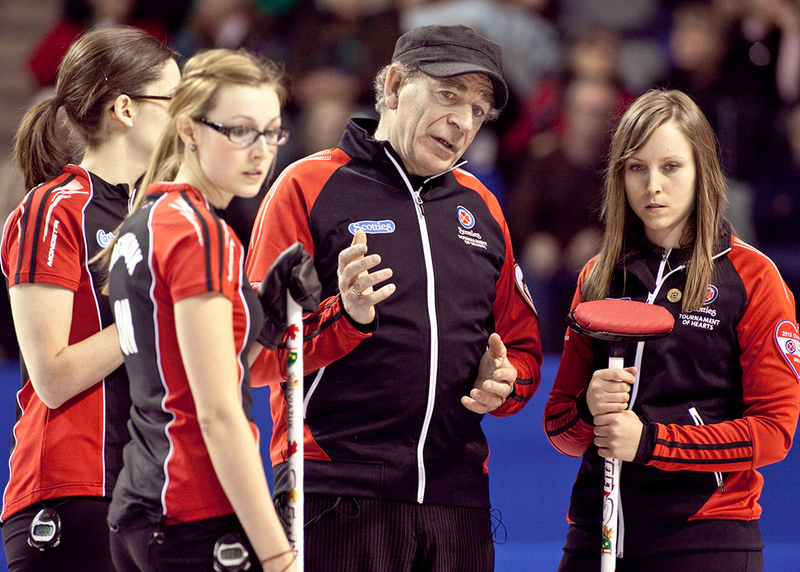 Coach Earle Morris, centre, discusses strategy with Rachel Homan, right, and her rink during a timeout. Photo: Curling Canada/Andrew Klaver. During a moment of reflection, Earle Morris thought it would be a great idea to phone five people who have touched his life in a special way…just to say thanks. Ken Vanos received a call. It was 59 years ago, when the elementary school physical education teacher organized a one-day, curling bonspiel for his class. It was a natural thing to do in the curling-crazy province of Saskatchewan. Morris, whose grandfather represented the province at the Canadian men’s Brier championship in 1933, was excited about his first curling competition. “I’m not sure if I won, but I know I won a bottle of 7UP. I was hooked on curling for winning a prize,” said the proud Ottawa curling icon, who would eventually develop a national program to introduce people of all ages to curling. “That exposure, based on the fact I was open minded, got me interested. 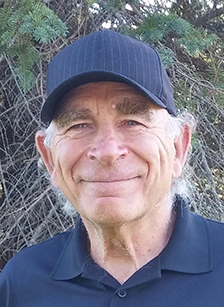 Morris, 72, has been involved in the game for almost six decades, whether as an elite curler, successful coach, promoter or inventor. He’s even a spectator, cheering for his son John, who won Olympic gold medals for Canada in 2010 and 2018, two world junior championships and a full set of world men’s championship medals. Earle Morris, who had several Canadian military postings, was the first player to represent three different provinces (Manitoba in 1980, Quebec in 1982, Ontario in 1985) at the Brier. Coach Earle Morris. Photo: Martin Cleary. As a coach, he has provided his insight to several world-class rinks: Ottawa’s Rachel Homan (2003-10, 2013-14); Jennifer Jones (2011); his son John (1998, 2016); and the Australian men’s team (2005-08). Besides being involved in the high-performance side of curling, he also has been a huge advocate for bringing people into the game, especially seniors. Ten years ago, Curling Canada director Danny Lamoureux asked Morris how to attract more Canadians to curling. Morris had a plan, ran a trial at a downtown Ottawa club and it was “absolutely a home run,” drawing people from 20 to 70 years old. The Getting Started program has been a breath of fresh air for many Ottawa curling clubs and is a smooth entry platform for seniors. But the Getting Started program had one, highly certified teacher on each sheet of ice. During the year, the players were taught the important elements of the game, while Morris provided strategy sessions and video analysis for each participant. The new curlers were asked to form their own executive to stage a Christmas party, and give feedback to Morris. Two Getting Started curlers also were paired with two club members to take part in a bonspiel. Curling is a perfect activity for seniors, according to Morris. There’s a physical component — brushing the stones down the ice — and it’s a good mental test — remembering how previous shots travelled and playing under pressure. And there’s etiquette. When a match is over, the players shake hands before a post-game, social time where shots are revisited over a drink and meal. Curling isn’t expensive as shoes, a slider, a brush and fees to join a league can cost less than $500. A curling match lasts two to three hours and isn’t affected by the weather. Besides traditional curling, the sport also has programs for stick, wheelchair and visually-impaired players. Besides learning the technical aspects of the game, senior curlers also can upgrade their game through stretching classes (i.e. yoga) and/or a strength development course to improve brushing. If you have a fear of falling on the ice, the Stabilizer sliding device provides balance on your delivery, helps square your shoulders and takes pressure off the knees. Morris invented the Stabilizer in 1995. Curling club pro shops also sell helmets to protect against falls. “What a great way to spend time and look after yourself to live a long and healthy life,” Morris said. Martin Cleary has written about amateur sports as a sportswriter for more than 44 years. His biweekly High Achievers column concentrates on athletes, teams and builders from Olympians to Little League Baseball players. Martin won the Doug Gilbert Medal as Canada’s sportswriter of the year in 1983.